T-minus three days until the Big Game. If you’ll be hosting a viewing party for the Big Game, snacks will absolutely be expected. After all, how will you keep guests fueled throughout halftime dance parties, nail-biting tackles, and fumbles in the fourth-quarter without snacks? 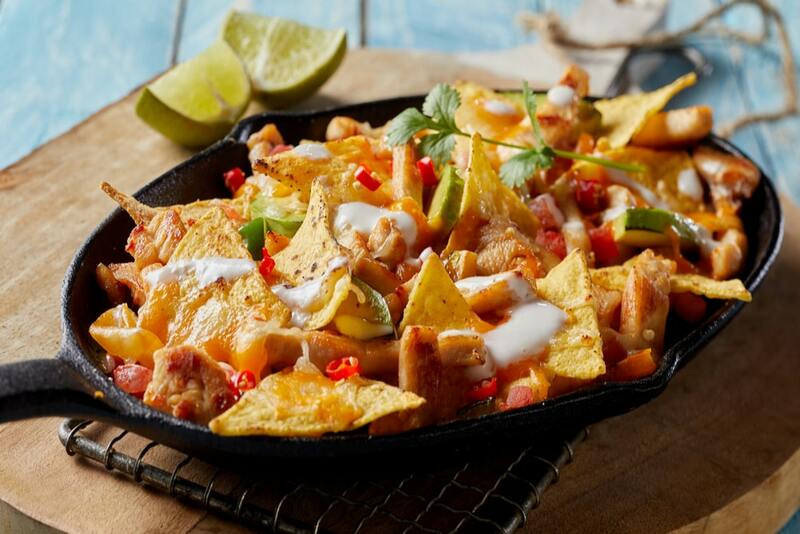 While football is obviously the star this Sunday, we all know that it’s the food that really gets the party started. When the whole gang turns out this Sunday to chow down while the teams throw down, be sure you’re getting the most bang for your buck. Just about every grocery store will be running sales on Game Day party staples like soda, chips, and cookie platters. We recommend plugging those needs into your smart shopping list to determine which retailer near you has all of those goodies at the best price. But, for the heartier food items, you already know that the team at Basket has whipped together a Budget Menu to help you save. Let’s kick off these big savings for the Big Game. Nothing says “party” like a platter of chips and dip. Luckily, you can find restaurant-style tortilla chips on sale in the weeks leading up to, and the weekend of, the big game. For instance, 16-ounce bags of Tostitos Original Restaurant Style Tortilla Chips are currently $1 off at major retailers like CVS and Walmart. Target has most Tostitos brand chips, including Scoops and Hint of Jalapeno Tortilla Chips, on sale through Feb. 16. Once you have your chips in the Basket, the next thing you’ll want to pick up is a jar of salsa, a block of cheese or pre-made queso, and avocados. 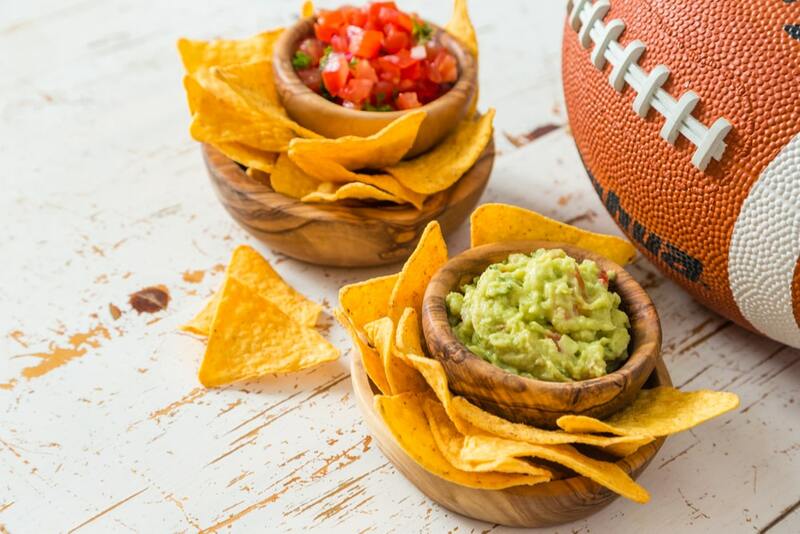 Making a trio of guacamole, salsa, and queso allows guests to mix and match flavors they like and provides options for snacking before the first kickoff. In a large bowl, combine cut avocados with cilantro, onion, lime juice, and salt and pepper. Stir well, leaving the mixture as chunky as you prefer. Pro Tip: Prepare your guacamole as close to the start of the Big Game as possible. Avocado browns easily when exposed to air, and while the taste will be the same, browning guacamole is not exactly the most appetizing way to start the night. It’s dubbed the classic for a reason. Veggie platters are a safe and surefire way to feed any guest in attendance. They’re also particularly helpful around this time of year – with most health-conscious football fans still adhering to their New Year’s resolutions to eat more clean, serving up a tray full of crunchy veggies is just what they’ll need to satisfy their crunch-cravings. One option you have is to buy a prepared tray straight from the grocery store. Depending on where you prefer to shop, the produce section might have delectable displays already set up. And with the popularity of Game Day parties, you’re likely to find them at a good price. However, you could save some money by making your own. Arrange a platter yourself with what’s in-season for February – and currently the cheapest. In the next few recipes, we’ll be pulling in some peppers and celery. Buying in bulk to build your platter means that you’ll have a bunch of fresh produce to work into the rest of your cooking. Alright, you’re cruising down the aisle, trying to get out of the supermarket in time for the Big Game. Let’s make life a whole lot easier, and simply buy our protein pre-made. Rotisserie chickens are a quick and easy way to get your hands on fresh-cooked chicken that can be reimagined in a variety of ways. For Game Day, here are two of our favorite ideas: Loaded BBQ Chicken Nachos, and Ranch Chicken Salad. Begin by preheating the oven to 350°F. In a medium saucepan, heat the oil over high heat. Cook the chopped rotisserie chicken with chili powder, garlic powder, salt, and pepper for two to three minutes. Stir in 3/4 cup to 1 cup BBQ of your choice, adding more based on your personal preference. Cook for five minutes and remove from heat. On a lined sheet pan, spread out a layer of tortilla chips. Layer with the barbecue chicken and cheese and bake for 15 minutes. Once removed from the oven, drizzle with sour cream and sprinkle with the chopped avocado. Serve hot. This quick recipe involves two of our go-to ingredients when we’re pressed for time and money: rotisserie chicken and dry ranch seasoning. Dry ranch seasoning packets are essential in our opinion. 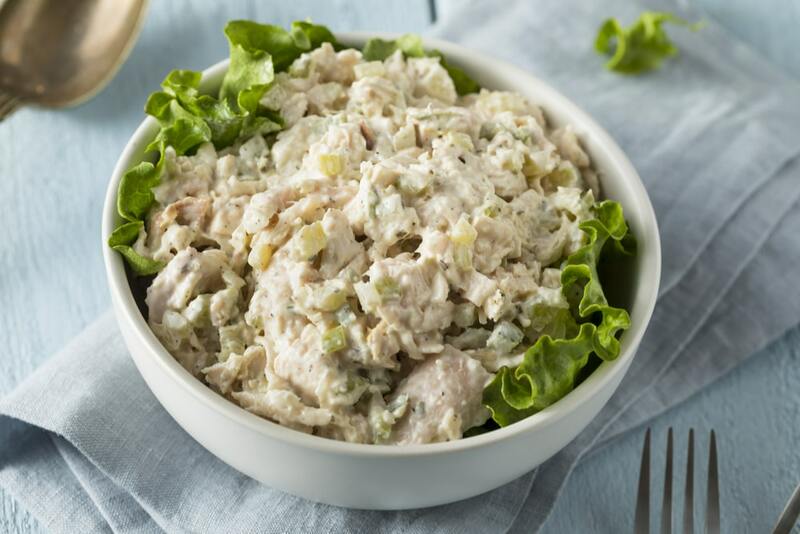 Inexpensive and easy to store, stash packets in your spice cabinet to add to tacos, quick yogurt dips, marinades, and of course, this ranch chicken salad. Plus, you can typically find them on some type of BOGO (Buy One, Get One) sale. Just search them in the Basket app to find if they’re currently on promotion near you. Mix the chicken, mayonnaise, and seasoning together in a large bowl until well blended. For a lighter alternative, substitute 1/2 cup Greek yogurt in place of mayo. Next, stir in pepper, onion, and celery. Chill for at least 1 hour to allow flavors to meld. Serve alongside crackers, or on a bed of lettuce to make chicken wraps. No big game would be complete without a sweet treat to celebrate victory (or to console a loss). For a dessert that’s affordable to throw together, pick up a box of brownie mix. You’ll need water, vegetable oil, and depending on the brand, eggs, for your batter. Also, pick up decorating icing for a fun twist. Preheat the oven to 350°F, or 325°F for nonstick pans. Line pan with aluminum foil for easy cleanup, and grease lightly with cooking spray. Combine batter ingredients and bake for 28 to 30 minutes, or until a toothpick inserted comes out almost clean. 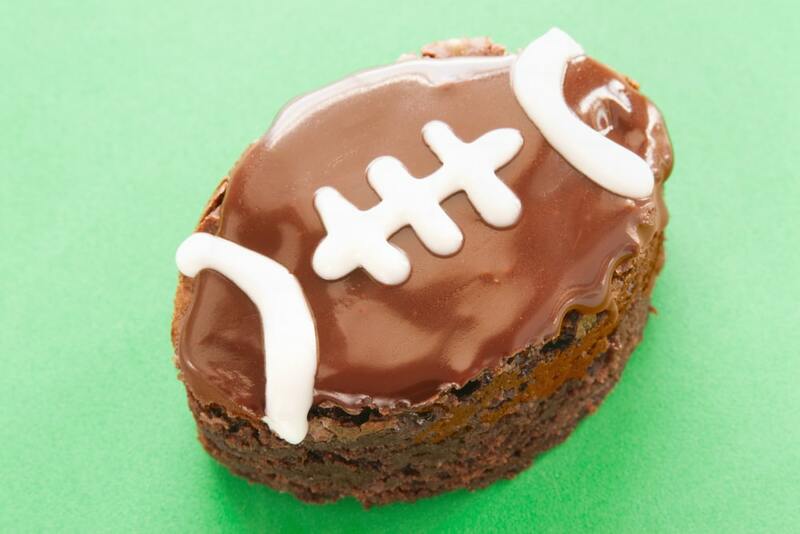 Allow the brownies to cool completely, and use a 3 1/2-inch football-shaped cookie cutter to cut the brownies into football shapes. If you don’t have a cookie cutter on hand, cut brownies into 2×1-inch rectangles and trim along edges to mimic a football shape. For a fool-proof guide, sketch your desired shape onto a piece of computer or parchment paper and trim to size. Place on top of 2×1-inch brownie rectangles and trim along your outline. For a final touch, use decorating icing to pipe “laces” onto your footballs. Touchdown. Geared with these helpful tips and budget-friendly recipes, you’re bound to throw a Game Day get-together that will keep guests happy regardless of the final score. 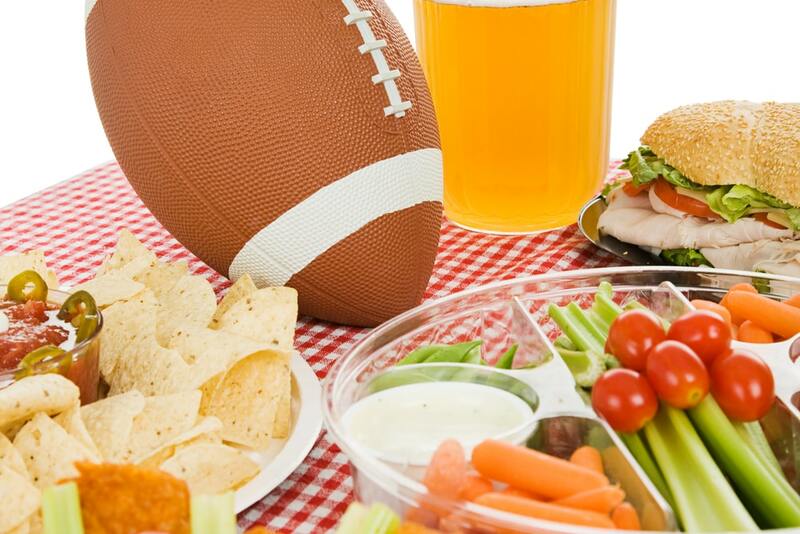 Be sure to Tweet us @BasketSavings if you try any of these Game Day snacks for yourself!